Based on an ancestral Hawaiian shamanic ritual, the healing practice of Ho’oponopono teaches you to cleanse your consciousness of negative memories, unconscious fears, and dysfunctional programming and grant yourself forgiveness, peace and love. 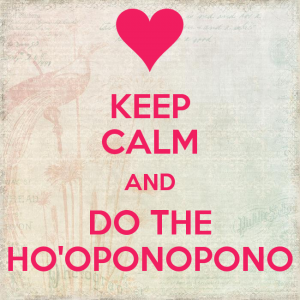 Ho’oponopono means to make (ho’o) right (pono) right (pono), and it’s practice allows people to harmoniously re-align with themselves, others and the universe. This mantra will open your heart to feelings of empathy, forgiveness, gratitude and love. This can significantly shift your state of being and therefore your own frequency and perspective towards a certain relationship, occurrence etc. How I use it is as follows. I find something in reality I don’t feel good about. This can be a relationship, an event, a certain thought etc. Then I recognize my own responsibility in being a co-creator of that situation. Even if I am just a witness, that is still a co-creative role for which I carry the responsibility. By saying I’m sorry I practice remorse and empathy for the situation and my co-creative role in it. Where before I might have had a negative judgement on somebody like myself or another person or something I watched on TV, that state now shifts towards understanding that I am partly responsible for it and that I am sorry for all the parties involved in that co-creation that are not happy about it including myself. This part makes me feel acceptance and empathy. 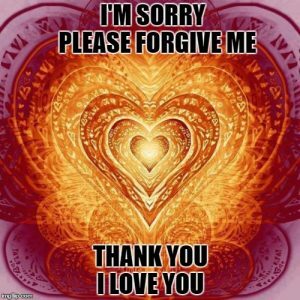 The asking for forgiveness can be towards myself, other people involved in the co-creation or even the universe, all that is, etc. Often I remind myself in this step that every person including myself is doing the best that they can. Even if the results are not what people might have intended, aimed for or wanted. Instead of being too hard on myself or others I ask for forgiveness so I can be open with what is. This part really helps my state of being to shift towards empathy and forgiveness. The thank you part can be towards all co-creators as well. I thank the universe for what is without any judgement on it. I am grateful for what has come to occur in the first place so everybody can experience and learn from it. It gives all co creators involved the opportunity to reflect upon what they do and do not prefer about it. I see it as an possibility to learn and grow from it. And that growth can hopefully result in me being able to create something more in alignment the next time. I thank all parties involved for being willing to have co-created it, even if they aren’t aware of their own co-creative role in it. This part really helps me to experience gratefulness. 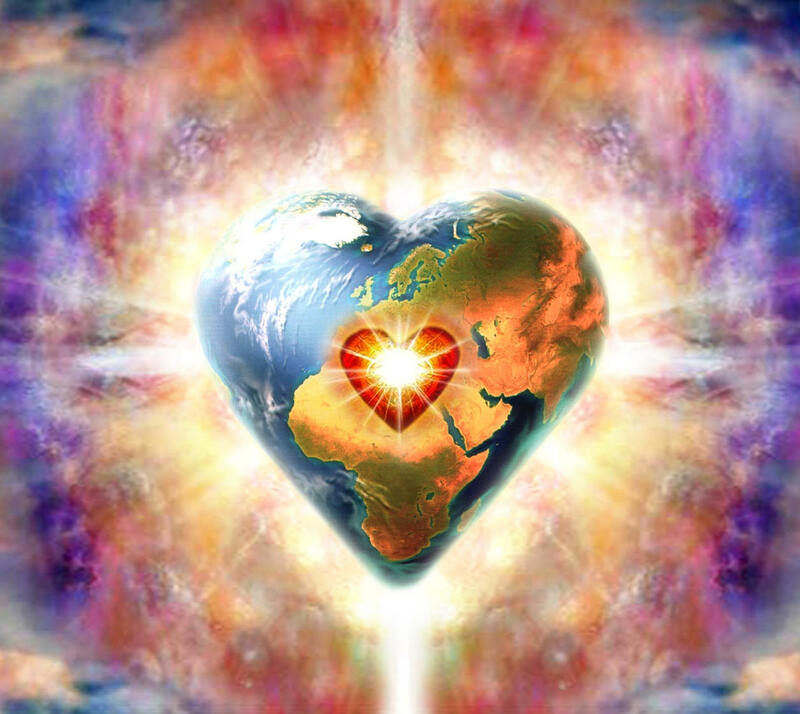 In the I love you part, I send feelings of kindness, warmness, openness and understanding to all co-creative players of the situation including myself and the universe. 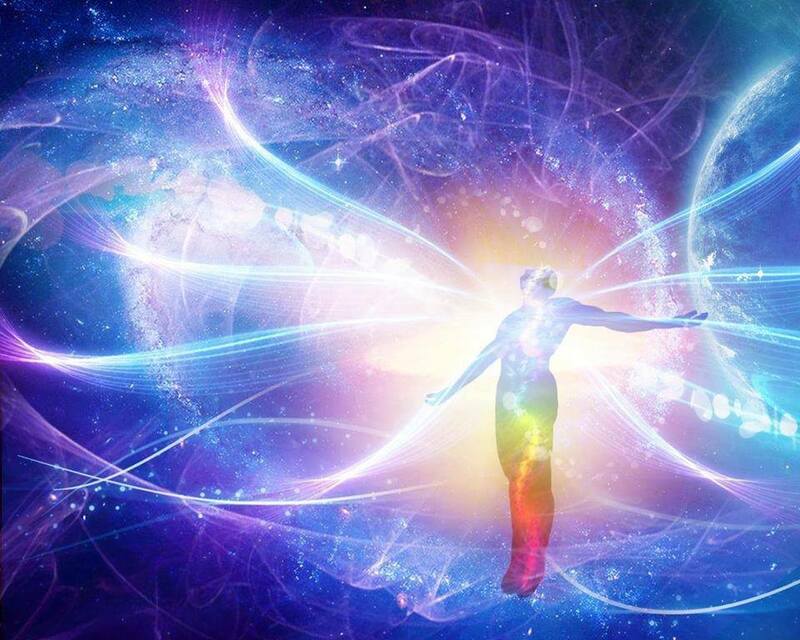 I also try to remind myself that we are all parts of the same oneness on some level and therefore we are always connected. This part helps my state of being to shift to a state of love and connection. There are some great books available on the practice if you want to learn more. Also you can find some explanations on YouTube. It can be good to have some tissues close by when practicing Ho’oponopono. And remember that crying is a way of the body of letting go of stuff and therefore should be seen as a positive indicator that things are shifting in you.